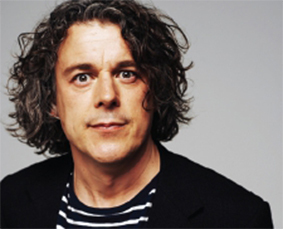 HE IS probably best known as the much-loved resident dunderhead on QI, or the star of the iconic television mystrery series, Jonathan Creek, but the comic Alan Davies actually began his comedy career as a stand-up act, way back in 1988. His recent return to the art form (if that’s what it is) following at least a decade spent on concentrating on television appearances of one sort or another, has already been a huge succes. In fact, this year’s spring tour went so well for Alan, that he is now venturing out onto the road yet again. And fortunately for us, he will be bringing his latest show, called Little Victories, to Woking’s New Victoria Theatre, on Sunday, November 9.